So the response to the Splatoon amiibo18 seems to be very good. 18. amiibo: Near-field communication-compatible figures that contain a chip that uses the NFC function of the Wii U GamePad, New Nintendo 3DS or New Nintendo 3DS XL to store readable game data. 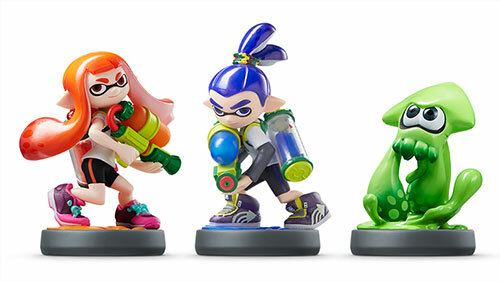 Three types of Splatoon amiibo (Inkling Girl, Inkling Boy, and Inkling Squid) are planned for sale on the same day as the game releases, May 29th 2015. Inkling Squid is only available as part of the Splatoon special edition. 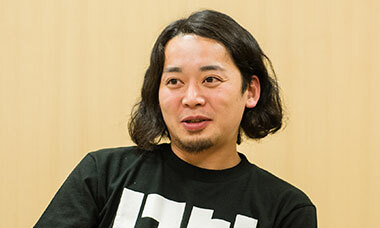 Inoue-san was the general supervisor for amiibo. The designer that we asked to model the form to make these amiibo did such a great job. The poses look good, no matter what angle you look at them from. Only it was hard to get the ink right with the squid figure, so I did the modelling myself. All of the employees who have seen the amiibo have said they look very good. I love plastic models and figurines, and even I thought they were really well made. I think it also has to do with the fact that the characters from Splatoon were designed to look good in 3D. Now for my last question. I’d like for each of you to tell us why you recommend Splatoon. The gameplay is very simple – it’s just inking colours – but it offers limitless ways to fight, and there are all kinds of play styles to enjoy, so you can keep playing for a long time. That’s my biggest reason to recommend it. One turn doesn’t last very long, so it’s a game you’ll want to keep playing again and again. Alright. 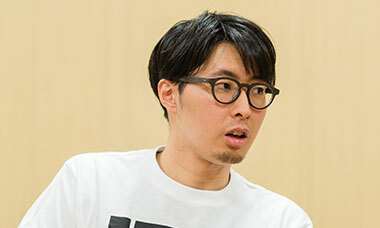 (laughs)How about you, Inoue-san? In terms of the design, we really put in everything that the team liked, without trying to force any of it too much. Even the decoration of the stages reflects the staff’s taste. So the response to the Splatoon amiibo 18 seems to be very good. 18. For example, if there are stickers on the wall, the stickers are put on in a way that you can tell that someone put them there because they wanted to. We’ve really filled the game world with “things that someone loves”, so I hope people will pay attention to all the little details. I hope that they don’t get too caught up in just inking things, and are able to enjoy the little things. I would recommend it for the controls. We really polished them to a point that I feel really confident about them, so I would like people to try them out and see for themselves. You really made detailed adjustments to the gameplay mechanics. Right.We also put a lot of care into making the single-player Octo Valley mode. The controls are the same, but it has a different feel than the online competition. It makes me think of the B-sides19 that the old records had. It won’t let you down, so I hope you’ll play it, too. 19. B-side: Analogue records were able to have music recorded on both sides. The top side was the A-side, and the underside was the B-side. Shouldn’t you say that they are both A-sides? And the ending to the single-player mode is really great. The contents are a secret, but… I really want people to finish single-player mode and check it out. 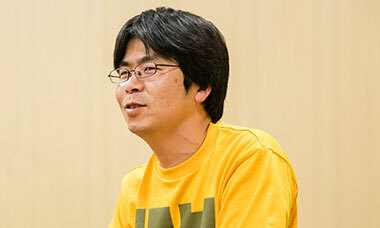 I think that when we got carried away, like Nogami-san talked about earlier, we put most of it in that ending. The other thing I’d really like to recommend is that people try out all kinds of weapons. If they keep using the same weapon, they’ll never understand the unique features of their enemy’s weapon. As they say, knowing your enemy is a shortcut to victory. That’s right. We made the game so the gameplay experience multiplies when you mix and match different weapons and stages to get the widest range of gameplay possible. We want you to try out all the weapons as much as possible. Then I think you’ll really get an idea of the breadth and volume of gameplay. This isn’t really a recommendation… it’s more like something that I’m secretly hoping will happen with this game. I do want young folks, like secondary school and the upper ages of primary school pupils to play it too, but I’m hoping that their parents will see them playing the game at home, and that it will make them want to play, too. I’m really hoping that will happen. If you watch someone play this game, it really does make you want to play it. So I think it would be fun to see the parents secretly playing the game while their kids are out, and getting really good at it. I really think this game has something to appeal to people of all ages. So you think the wife of the researcher from the Squid Research Lab20 will play, too? 20. The Squid Research Lab: On the official Splatoon Facebook page, the Squid Research Lab reports its findings and exclusive information from its studies of the strange squid which can take human form. Oh, yes. (laughs) Actually, my – I mean the researcher’s – wife is really good at games. Better than someone who plays games every day? Yep. I always lose when we’re playing Mario Kart 821. (laughs)21. Mario Kart 8: A racing game released for Wii U in May 2014 in Europe. We would hope that all kinds of people will have various opinions on it. Not only people like the researcher’s wife, who is good at games, but also people who just think, “Splattering ink looks fun!” or who think the game looks fun even though they don’t have much experience with shooter games. By the way, there was a Global Testfire event22 held the other day. How was the response? 22. Splatoon Global Testfire Event: This was held on Saturday, May 9th, to celebrate the upcoming release of Splatoon. Players were able to try out a four vs. four online battle. 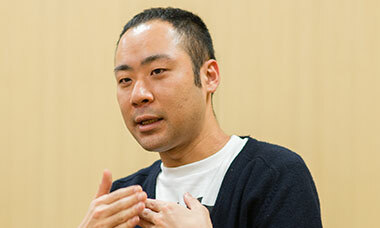 In Japan, the event was livestreamed on NicoNico, a Japanese video sharing website. We got a really huge response. It was really refreshing to be able to say, “Let’s all start playing now!” It felt like a festival. From the great response to the NicoNico livestream, it wasn’t just your regular demo event. That’s right. For those who haven’t had a chance to play yet, you get one more chance to try it out during another Global Testfire event23 on May 23rd. “For breakfast, do you prefer rice or bread?”. 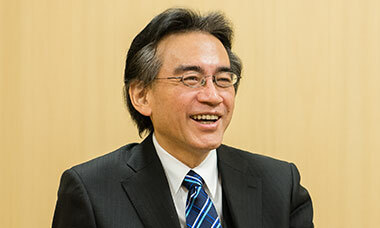 And then we’ll split the players into the Rice Team and the Bread Team and give them turf to battle for. A battle is four against four, and we take the average score over 24 hours of play to decide the winning and losing team. (Editor’s note: In Europe, the first Splatfest theme is: “Which music do you prefer: rock or pop?”) 23. Second Splatoon Global Testfire Event: Wii U owners have a second opportunity to test out 4-on-4 Turf War battles during a second Global Testfire event held on May 23rd. Read the official press release for more information. 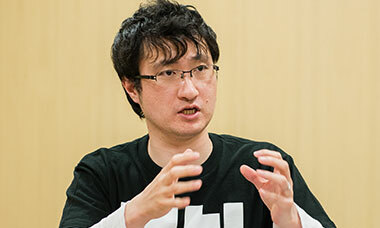 The idea for Splatfests came from Amano-san, who said, “I want to have a function that would create some kind of festival in-game” during production. And we thought that if we posted announcements like, “We’ll be having rice for breakfast!” on social media, it would be something else to get people interested. 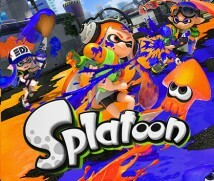 We wanted to make a system where we could use keywords that people who didn’t know about the game would be interested in, so that when we released the results, it would give them an opportunity to hear about Splatoon. So we just decided to put that together with our system of team battles. We’ve been using the word squid a lot today, but they are actually called Inklings. No-one was calling them anything but “squid”. And we never call them anything but “squid”, either.